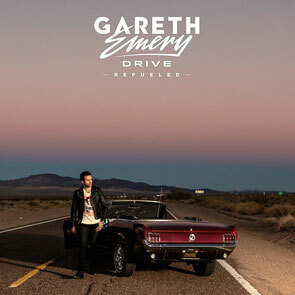 Bringing on a cast of producers and DJs to pump the 12 tracks from last year's ‘Drive’ with new energy, Gareth Emery revs into 2015 with a new remix album. W&W, BL3R, Deorro, Cosmic Gate, MaRLo, Omnia and others go for a spin on ‘Drive Refueled’, adding their own blends of progressive house, trance and electro to the collection. There's touches of rocktronica from Sunnery James & Ryan Marciano on ‘U’ featuring Bo Bruce, Dirty Dutch hard house from R3hab on the Krewella collaboration ‘Lights & Thunder’, nu wave trance on ‘Firebird’ by Grum and complextro by James Egbert on A Million Years’ ft Asia Whiteacre. With some familiar names and some new, ‘Drive Refueled’ comes with 22 remixes. ‘Drive’ reached #1 on the US iTunes Dance chart in April 2014 and kicked off Emery's worldwide tour that saw him visit nearly 40 cities in three months. After relaunching his long-running radio show from The Gareth Emery Podcast into Electric For Life, this year sees Emery taking up a new residency in Vegas at the brand new club LiFE at the SLS, continuing to run his record label Garuda Music and expanding his personal time with family in his recently adopted hometown of Los Angeles. It’s out 3 March on Garuda Music, check it out below.